Estonian Folk Art and Craft Union is a non-profit organisation that brings together regional folk art and craft organisations as well as individual craftsmen and craftswomen. 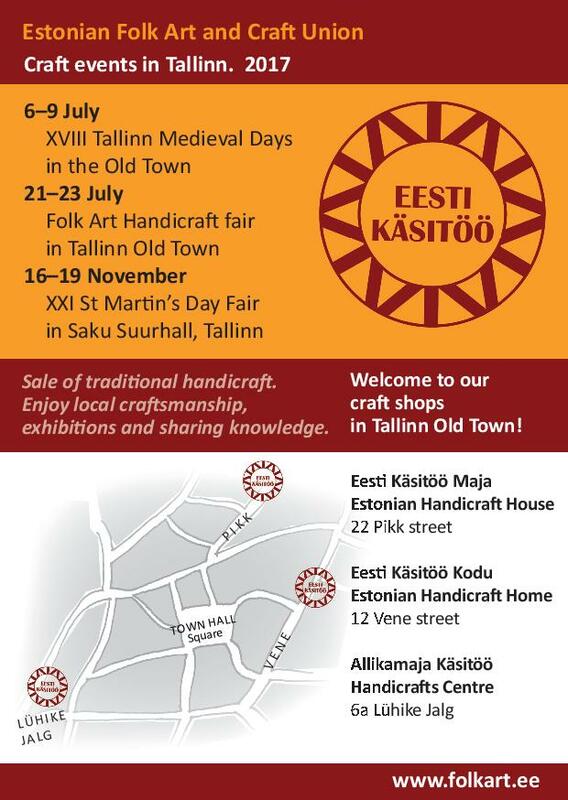 The aim of the Union is to value, preserve and develop the traditions of Estonian handicraft and to treasure the regional characteristics of these traditions. The Union works to preserve folk craft as a cultural phenomenon as well as a source of subsistence.